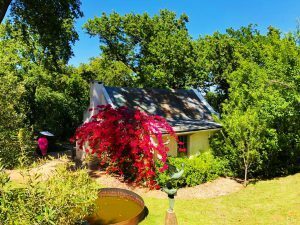 Discover a haven overlooking the Stellenbosch Mountain where sculptor Dylan Lewis has chosen to exhibit some of his most famous works. 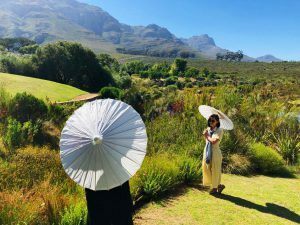 If you’re looking for a special way to experience the Cape Winelands but you’ve already had a day full of tastings, why not unwind in these picturesque gardens? Dylan Lewis started out as a painter when he first studied fine arts. 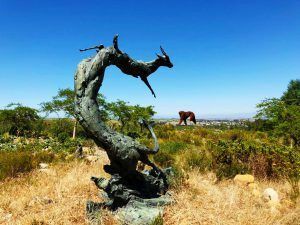 He then moved to Stellenbosch where he built his own studio and bronze foundry – parts of which can be viewed on the grounds! The works began with paintings, progressed to small bird sculptures and then took on many different themes in the shape of giant bronze sculptures. 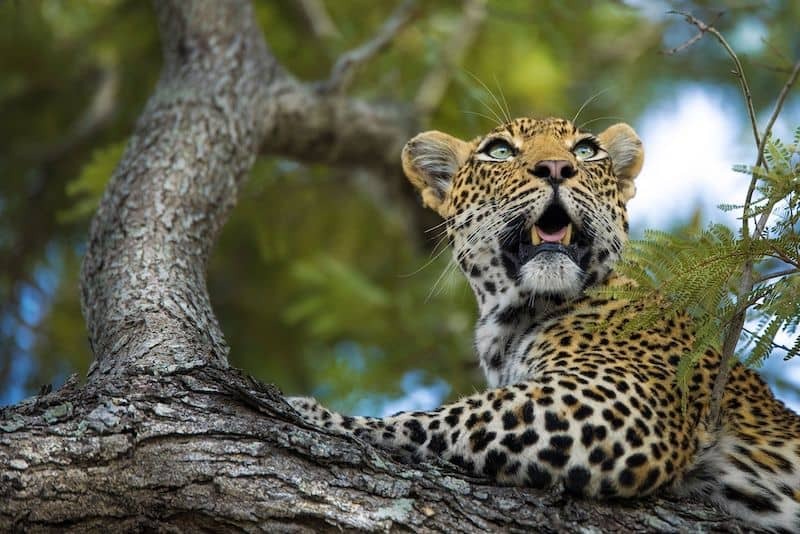 Some of these themes include a study of the relation between male and female energies as well as the astounding patterns of movement seen in Africa’s wildlife. 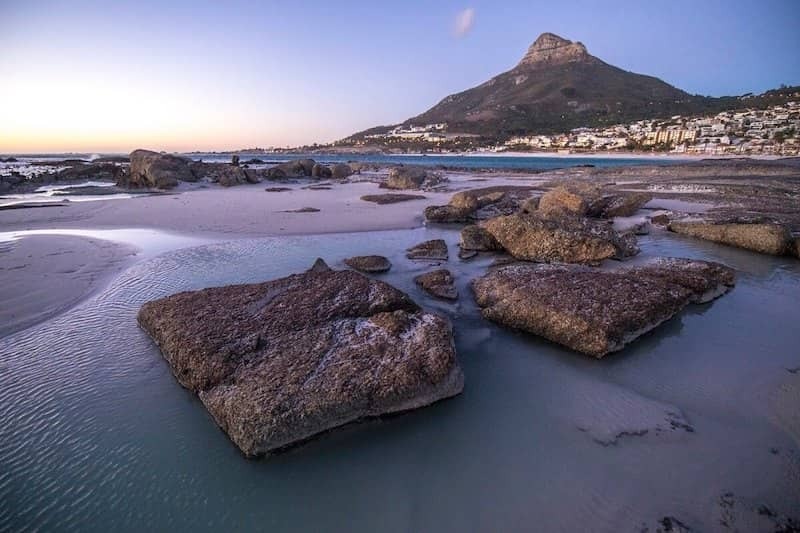 Since his time in South Africa, he has exhibited widely overseas as well and garnered international interest in his work. Visits to the gardens are by appointment only and this can be done through email, on the website or via telephone. The gallery operators are very friendly and can answer any questions you may have about the sculptures or the garden itself. Upon arrival at the main reception building and gallery, you’re given a map of the gardens with markers of pivotal works or special spots that influenced the creation of the sculptures. The start of the private guided tours leave from here with one of your friendly gallery operators but you need to organise this beforehand, especially if you are part of a large group. Costs of tickets: R140 per standard Adult, R110 for students/pensioners and free for under 18’s. 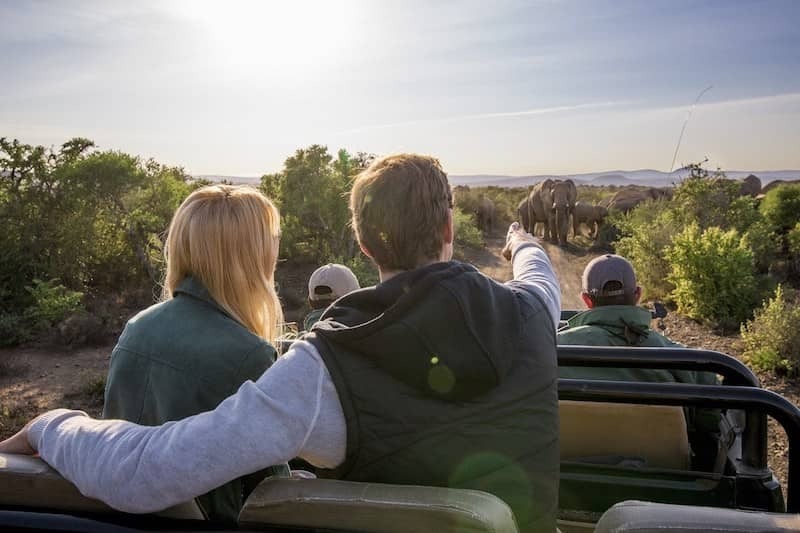 Private guided tours: R700 (one to seven guests) or R100 per person (more than seven guests). Open Days: Tuesday to Saturday from 09:00 to 17:00 but their last admittance is at 16:00. Along with the map of the gardens you’re also given a bird checklist. 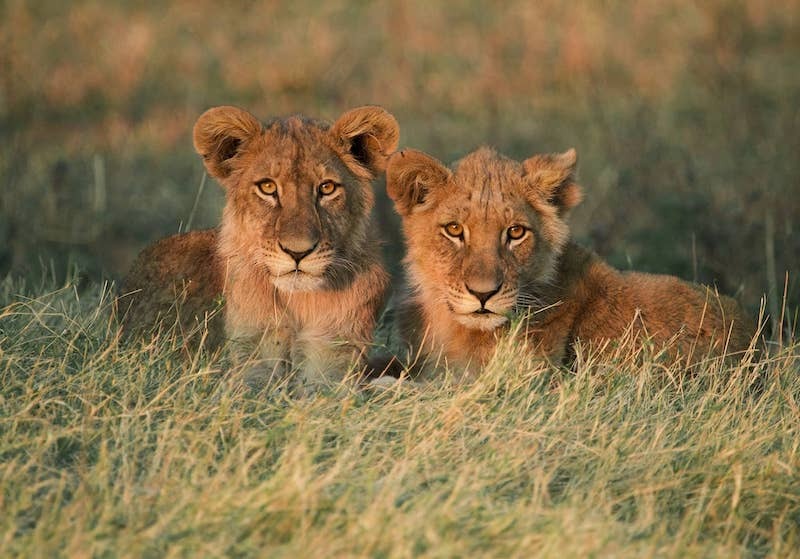 While there isn’t one for the other animals, you’re sure to see some ducks on the pond, butterflies around the flowers and perhaps even small buck moving between the bushes. Birds to look out for include Peregrine falcons, Verreaux’s eagles and starlings. On our visit, we even spotted some baby owls in the hollow of a tree outside the gallery! 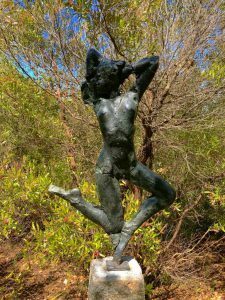 Tucked away down a private road in the Paradyskloof area of Stellenbosch, the Dylan Lewis Sculpture Garden is quiet, intimate and peaceful. Surrounded by nothing but mountains and rivers, there are plenty of natural wonders to see while here. In between these captivating sculptures there is an equal array of heart-stirring poems by Dr Ian McCallum laser-cut into metal plaques that blend in with the foliage. An excerpt from his poem “Wilderness” inspires visitors to find the rest of his work among the vegetation: “Have we forgotten, that wilderness is not a place, but a pattern of soul”. The garden really caters to the needs of its guests with parasols and sunscreen for warmer days as well as rain boots and umbrellas for muddier days. You’re welcome to use your parasol for the entirety of your walk but if you get really attached to it, you can also buy one (along with poetry books by Dr Ian McCallum and crafts) at the gallery or café. Once you’re done meandering through the garden paths, you’re invited to find a cosy spot either inside or under the trees outside the Old Storeroom. 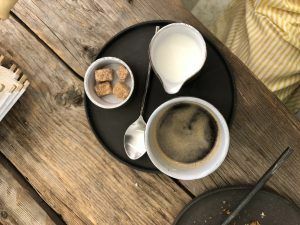 This little cafe serves some much-needed coffee, fresh juice and a delicious selection of cakes. This is also where the tours end if you’ve chosen to book one. 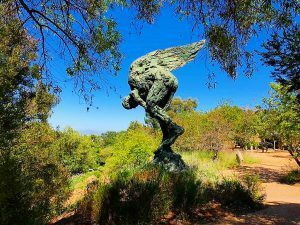 Make sure to venture out to the Dylan Lewis Sculpture Garden on your tour through the Cape Winelands. You can also view some of our accommodation suggestions for the Stellenbosch region.